Community gardening, a crochet class, and a blood drive are happening around town this weekend! Kids Day from 6:30 a.m. to 6 p.m. at the Salvation Army Boys & Girls Club, 1721 South Hickory Street in Sapulpa. They will serve breakfast, lunch, and snacks and have games, activities, computers, swimming, and basketball for only $20 per day! For more information call 918-224-4415 or visit the Facebook page here. Ask an Expert: Gardening Session, hosted by Caring Community Friends Garden, every Thursday until November 28 at 5 p.m. at the garden, 14 West Burnham in Sapulpa. Got a gardening question? Come ask the experts! 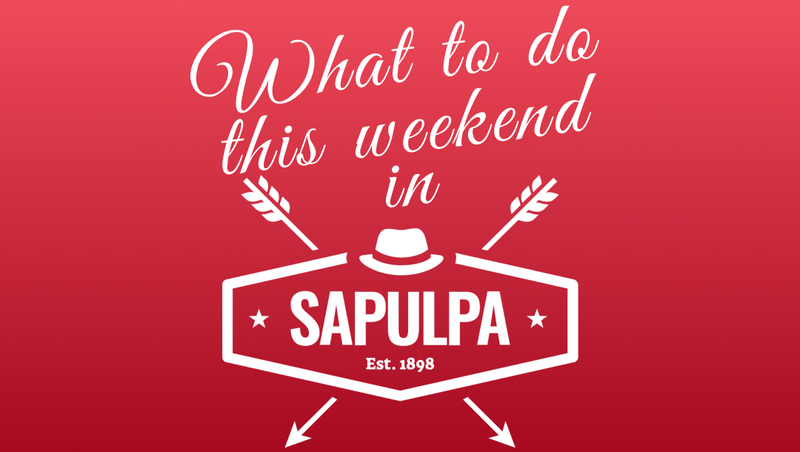 Or just come hang out with fellow Sapulpa neighbors in the garden. Let’s make this the best gardening season ever! For more information, please visit the Facebook page here. Sapulpa Artists’ Guild Paint Classes every Thursday from 5:30 to 7:45 p.m. at the Sapulpa Senior Citizen Center, 515 East Dewey Avenue. The class is free and help is available from art teacher Sam Houghton. The group works in oil, acrylic, and watercolor as well as pastels. There is an optional $20 per year membership donation. You may also visit the class before joining. Parking is available in the back parking lot, behind the building. Use the back door to the building. For more information, visit the Facebook page here, or call Sam at 918-224-8106. 8 Ball Pool Tournament League on Thursday nights at 7 p.m. for 13 weeks (beginning on January 10) at VFW Post 1320, 1201 West Dewey Avenue. It’s $5 per session and is open to the public! For more information call 918-512-8286 or 918-227-1320. Saturday Bowling Youth Leagues at 10:30 a.m. for 12 weeks beginning January 19 at Sahoma Lanes, 1499 North 9th Street, Sapulpa. Only $8 per week. Three member open teams, 1st-6th, and 7th-12th-grade teams. Earn points toward scholarship money by games bowled in leagues and tournaments! For more information call 918-224-BOWL or visit the Facebook page here. Tai Chi: Moving for Better Balance at 10:30 a.m. at Good Shepherd Episcopal Church, 1420 East Dewey Avenue in Sapulpa. This is a FREE 12-week program conducted by Gina Wozencraft and put on by the Creek County Health Department. Through simple, graceful movements that are easy to learn, Tai Chi builds physical stamina, improves one’s balance, muscular strength, postural control, self-confidence, memory, and reduces the likelihood of falling. Join them for this great program! For more information, please visit the Facebook page here. Crochet Waffle Stitch Ear Warmer Class from 5 to 6:30 p.m. at The Painting Gypsy Studio, 619 North Mission in Sapulpa. You will need to know how to double crochet before you take on this class, and you will need one skein of medium-size 4 yarn and one 5.5 mm crochet hook. The cost is $10 per person and seats are limited. For more information or to reserve your seat, please visit the Facebook page here. Cosmic Bowl from 10 p.m. to midnight at Sahoma Lanes, 1499 North 9th Street in Sapulpa. There will be black lights, music, and glowing pins! The cost is $60 per lane or $12 per person. This is for 2 hours of bowling and includes shoes. For reservations call 918-224-BOWL or visit the Facebook page here. Fifty-Five and Alive Workout at 9:30 a.m. on Tuesdays and Thursdays at the Faith Fitness Center at Faith Church, 1901 West 171st Street South in Glenpool. The Faith Fitness Center at Faith Church has opened and it’s free to everyone! If you’re 55+ join them for this new class. It involves stretching and exercises to maintain a healthier body and is taught by Kim Clevenger. For more information please visit the Facebook page here.